The bald fade is one of the most popular haircuts around for gents. The look, which features precise blending, is sleek, smart and utterly stylish. So, if you’re in need of a fresh cut that’s sure to impress, the bald fade is the way to go. 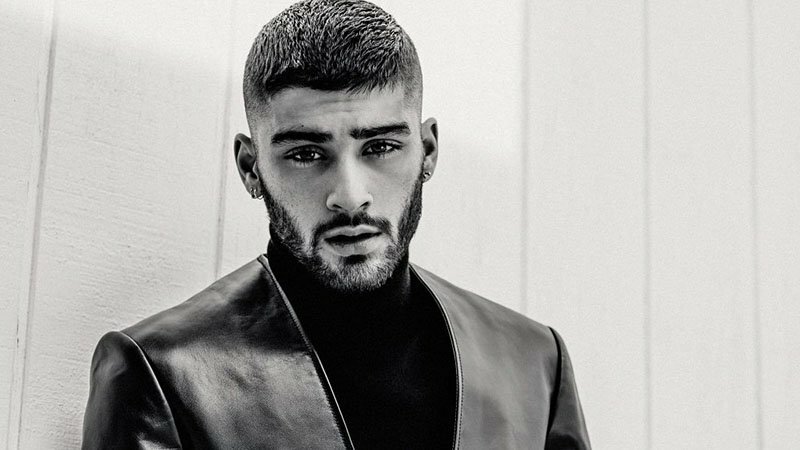 Of course, picking the right version can be a challenge, which is why we’ve rounded up a selection of different ways you can rock this modern cut. Whether you like things simple and subtle or striking and complex, we have a style for you. 1 What is a Bald Fade? What is a Bald Fade? 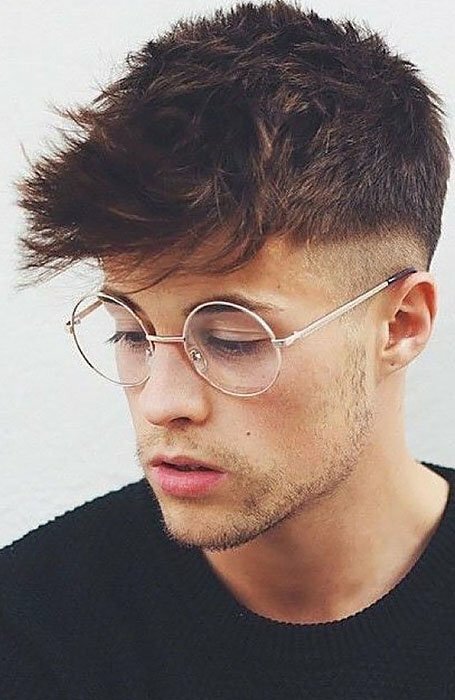 As with many of today’s popular men’s hairstyles, a bald fade features cropped sides and back with a longer length on top. The ‘fade’ part of the name refers to the smooth transition between these various lengths. Unlike traditional styles, which fade down to shorter hair, a bald fade reduces right down to skin level. The result is a smart yet striking style with plenty of contrast. Of course, as with all hairstyles, this cut comes in a variety of options. So, finding a version to suit your tastes is easy. Hair terminology can often be confusing. So, if you’ve heard both the term bald fade and skin fade and are feeling unsure of the difference between them, you can be sure you’re not alone. These two names are often used interchangeably, which can create uncertainty. However, they refer to the same haircut. As such, you can feel confident knowing that whether you ask your barber for a bald fade or a skin fade, they’ll deliver the same thing. Creating an excellent bald fade takes precision, so it’s best left to the experts. 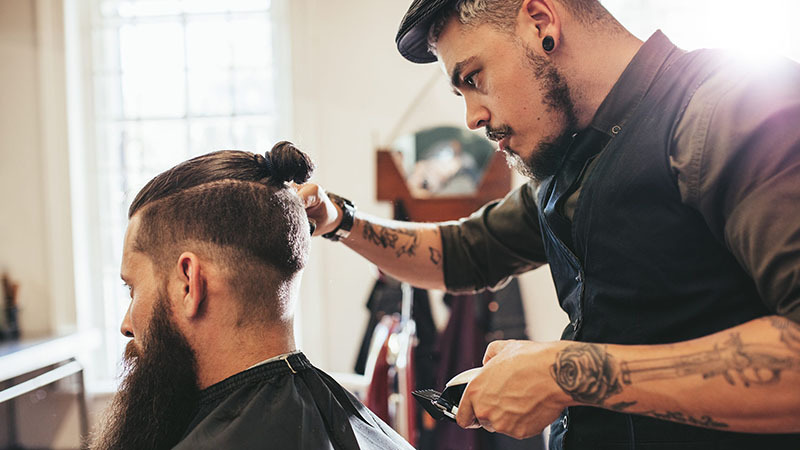 To achieve the cut, your barber will typically start by using clippers with a guard to remove the bulk of your hair on the sides and back. Depending on their technique, they will then usually shave a baseline around your head. This line and all hair below it will be completely shaved off. 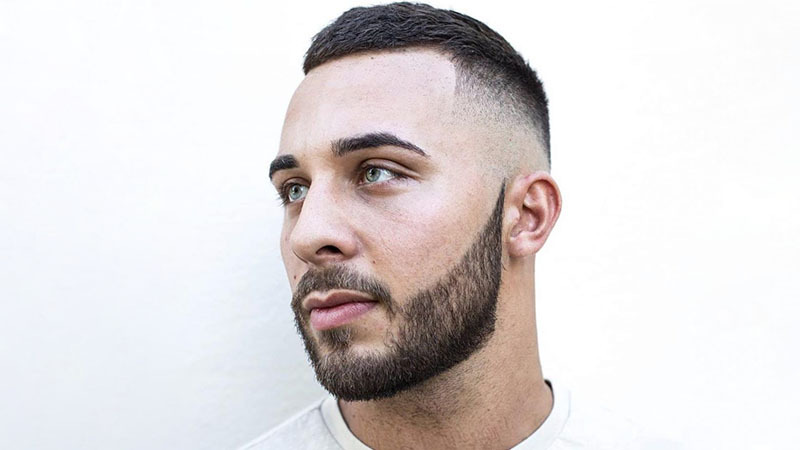 Your barber will then use a series of clipper sizes as he moves up your head to slowly transition your hair from the skin fade into the hair on top of your head. When done correctly, the fade should be even and smooth. 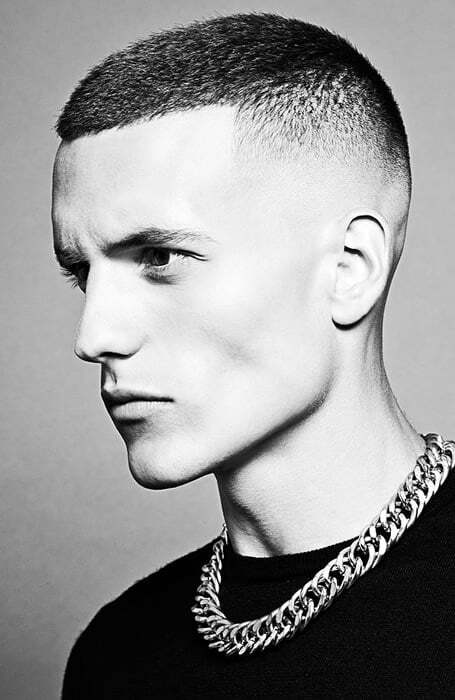 A subtle take on the skin fade style, a low bald fade starts increasing in length just above the ear. It then gradually grows until it has blended in with the hair on top of the head. The result is an understated yet stylish look that’s perfect for gents trying the bald fade for the first time. 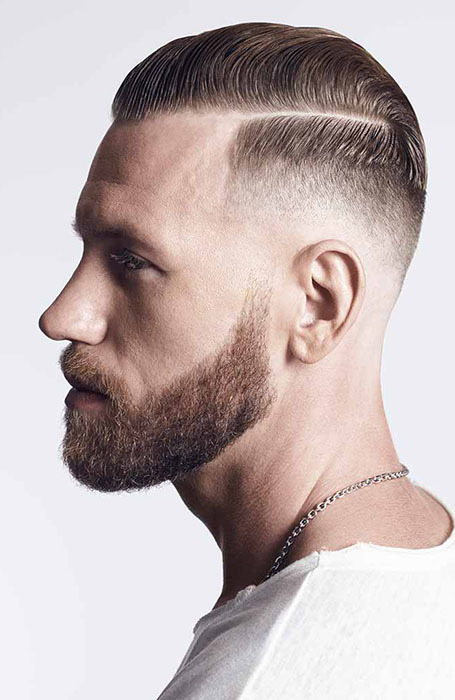 To rock this cut in a highly flattering and well-balanced way, opt for a medium bald fade. More noticeable than a low fade yet less striking than a high version, this cut sits perfectly in between. 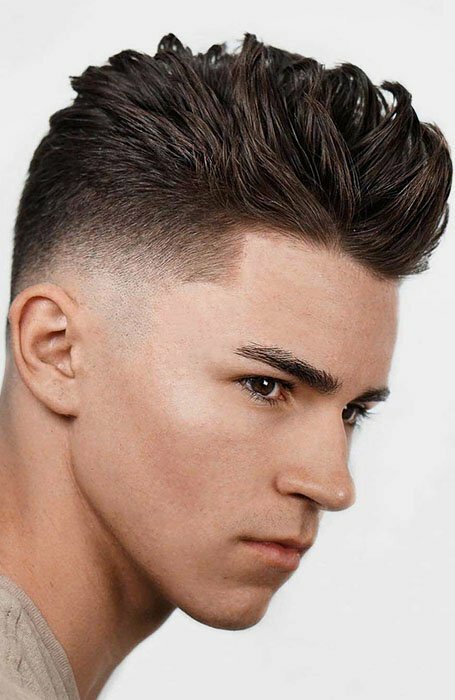 The cut, which typically begins about an inch above the ear, looks particularly stylish when paired with voluminous style up top, such as a quiff or pompadour. For a high-contrast look that’ll take your style to the next level, ask for a high bald fade on your next visit to the barber. This cool cut features a skin-shave up to around two inches above the ears. From there, the cut quickly yet smoothly transitions into the hair on top of the head. 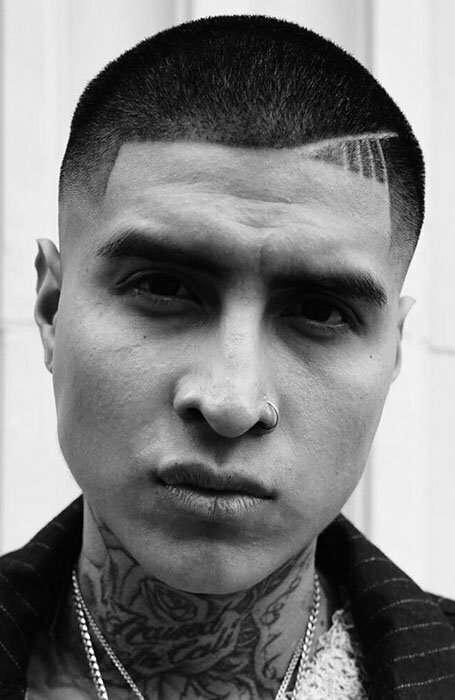 Unlike other skin fade hairstyles, a bald taper fade does not rely solely on clippers to achieve its stylish appearance. Instead, this cut also requires the use of scissors to smoothly transition from no hair around the ears to longer hair on top. As such, the haircut, which can be high, medium or low, works well for gents who like to maintain a decent length up high. The bald drop fade combines two fade cuts into one and is a fantastic choice for stylish gents. The cut pairs a bald fade, which reduces down to the skin, with a drop fade, which slopes downwards as it moves behind the ears to the back of the head. The result is a fashionable look that can pair well with a variety of styles up top. 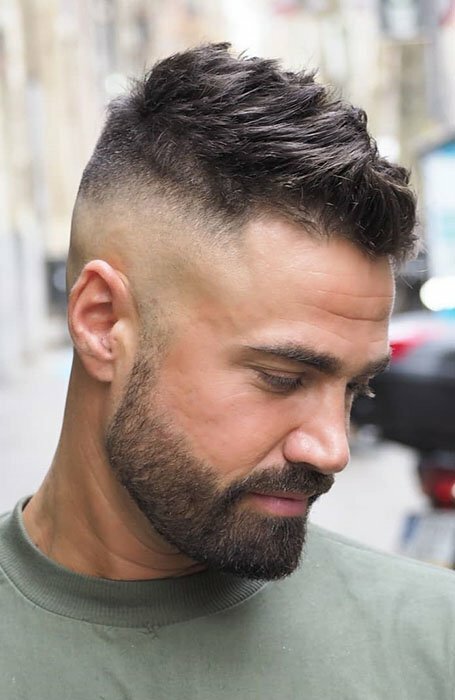 Similar to a traditional military haircut, a bald cut fade features hair shaved very short on top and partnered with a skin fade on the sides and back. The low-maintenance look is perfect for achieving a minimal and masculine appearance. For a full bald fade that starts with absolutely no hair, ask your barber for a razor fade. 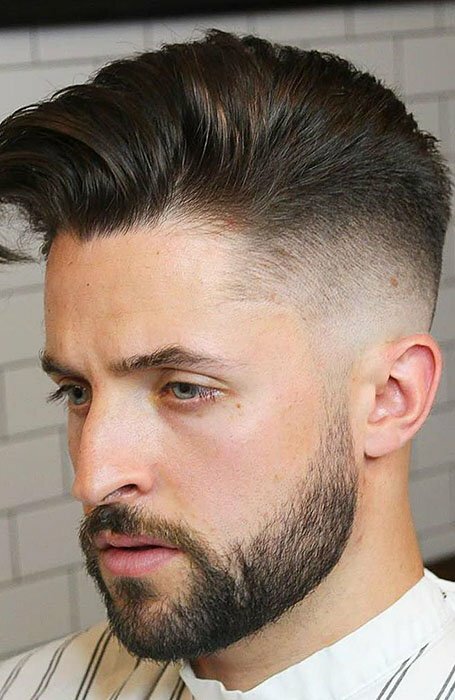 Unlike a standard skin fade, which only uses clippers, this version requires the use of a straight razor to taper the hair down to the scalp. 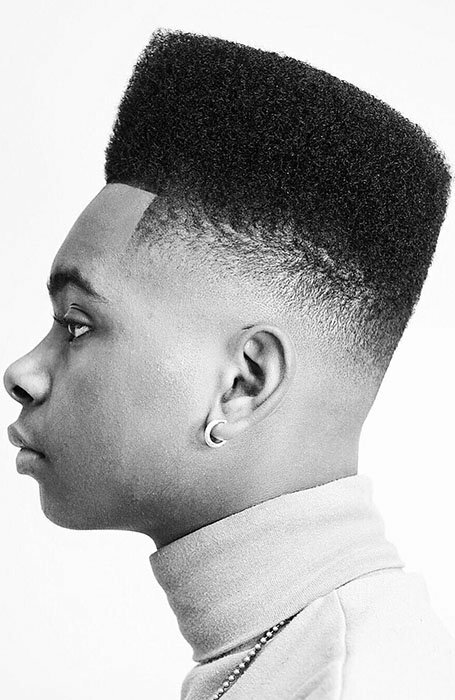 A favourite in the ’80s, the high-top fade haircut is back and looking better than ever. 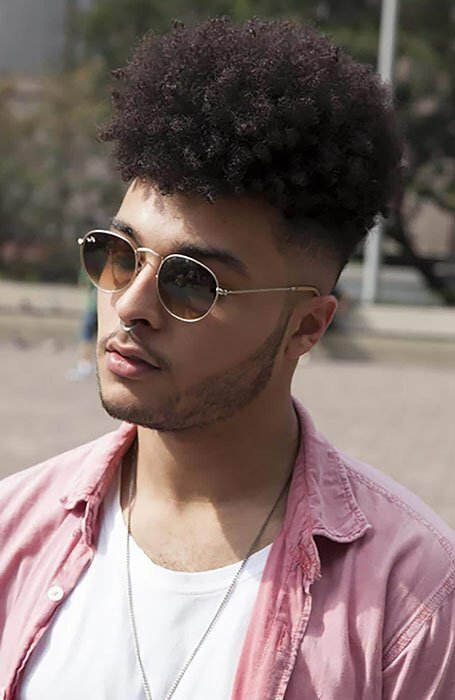 To rock the cut today, opt for a high-top with plenty of natural texture up top and pair it with a bald fade on the sides and back. 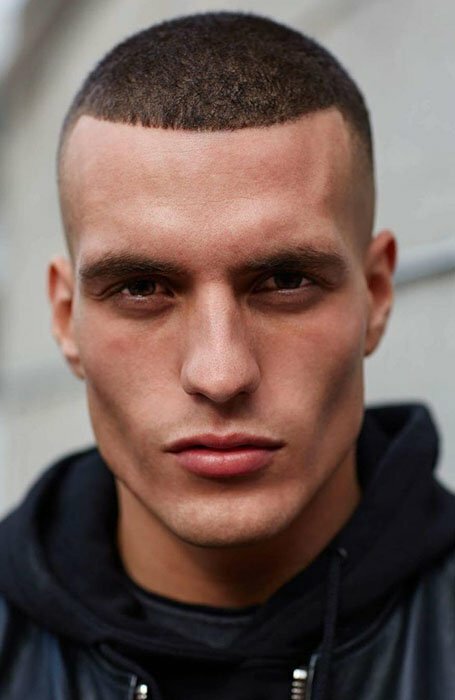 Add a touch of military style to your look by combining a skin fade haircut with an impressive side part style. This top cut boasts both precision and polish and offers gents a bold look that can suit any occasion. Like a zero fade, a bald skin fade is another name for a bald fade or skin fade. So, don’t be worried if this is the term your barber uses. Be aware, however, that as these names have the same meaning, they are all available in a variety of styles, including high, mid and low variations. A fade shaved right down to the skin is a stylish look. But it can also be a little bold for some gents. 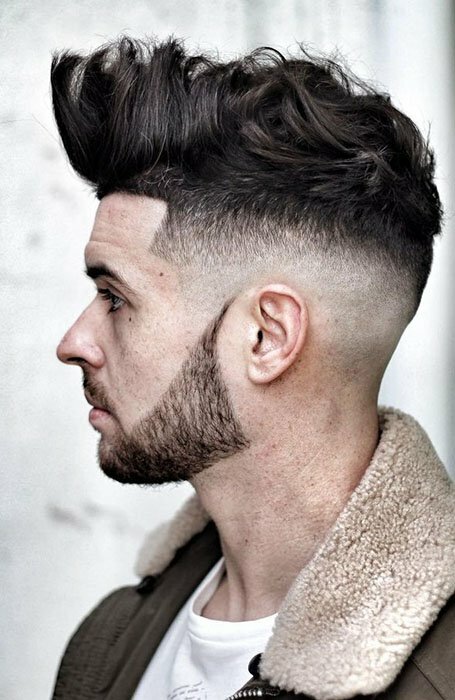 If you fall into this category, consider softening the appearance of your skin fade by teaming it with a textured crop on top. The extra texture will perfectly balance the smooth appearance of your fade. 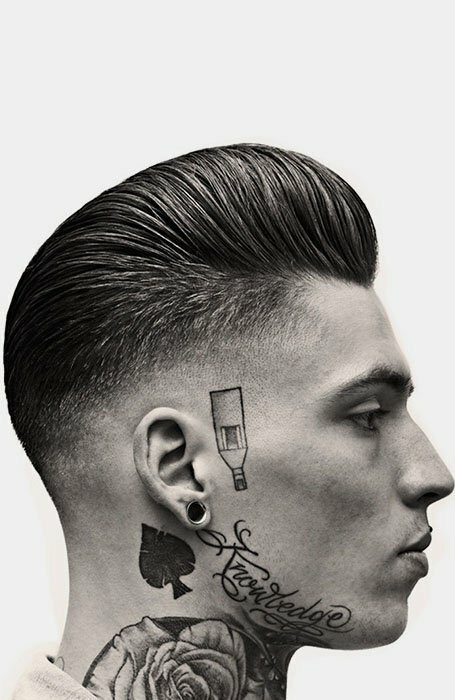 The pompadour has been a top hairstyle for gents for several years now. Although it’s not going away anytime soon, there’s no harm in giving the style a fresh update. To do so, ask your barber for a bald fade on the sides and back. The combination will leave you with a sleek and seriously on-trend appearance. If you’re after a hairstyle that’s smart, sharp and requires zero daily styling, you can’t go past the bald fade buzz cut. By teaming a skin fade and a buzz cut together, this minimal cut appears cool and contemporary. Just remember to book in for regular trims to keep your cut neat and precise. 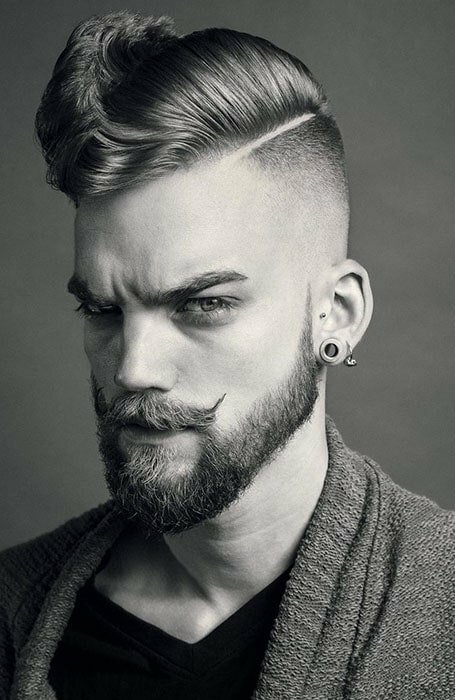 Although it can be a tricky style to rock successfully, the combination of a skin fade with a beard can look fantastic when done right. 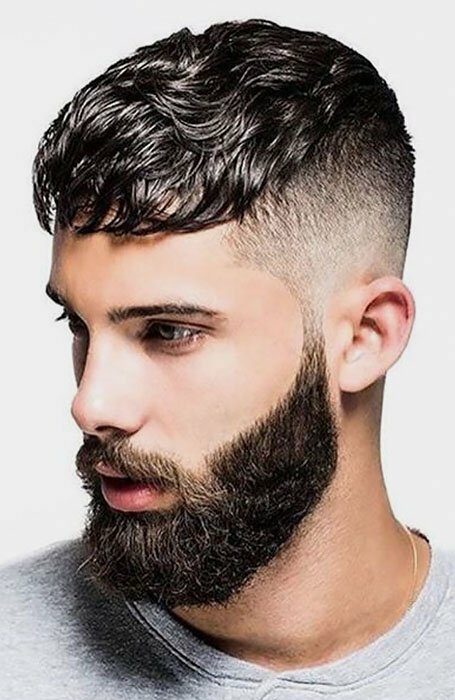 The trick to nailing the style is to taper your beard, starting very short near your ears before gradually growing into a longer length at your chin. 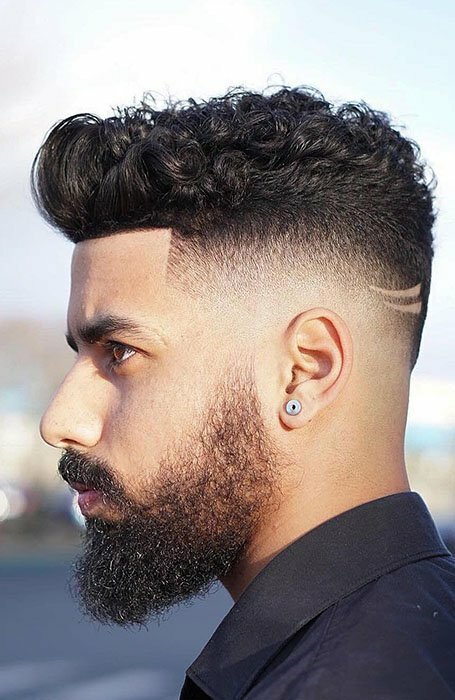 Doing so will achieve a subtle contrast between your beard and fade. 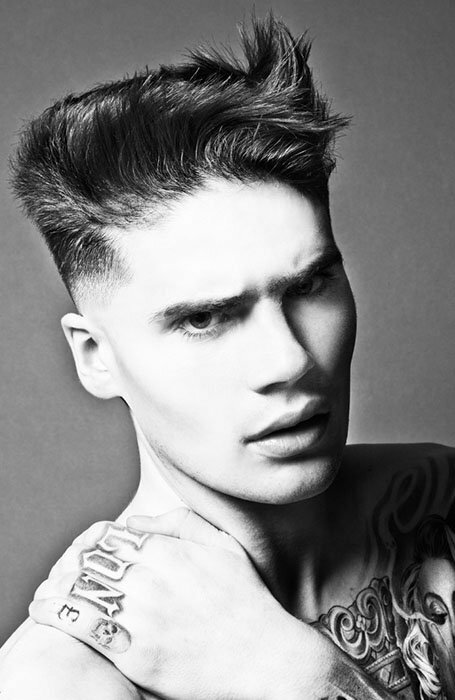 Teaming a blowout with a bald fade can create a surprisingly stylish and striking appearance. 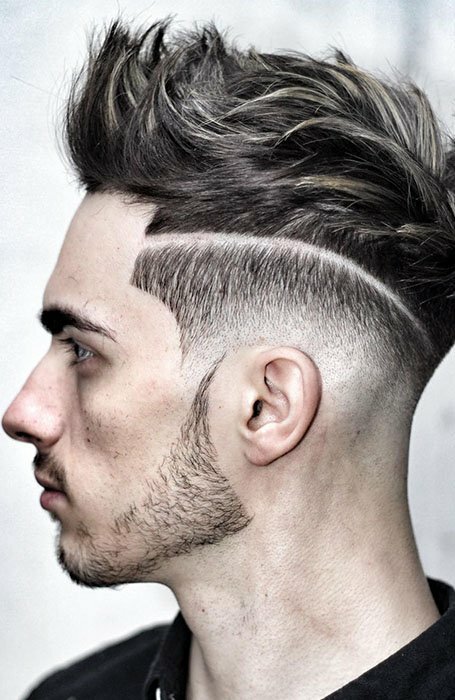 To nail the look, ask your barber to cut your hair into a skin fade with at least an inch left up top. To style the cut, use a blow-dryer and brush or comb to pull your hair upwards as it dries. Then, use products, such as pomade and hairspray to hold the look in place. For a bald fade with a strong personality, consider adding a shaved design to your look. To do so, ask your barber to cut your hair into a standard skin fade. Then, have your barber shave a shape or design, such as a line, lightning bolt or wave, into one side. You’ll look seriously sleek with a slicked-back bald fade hairstyle on your head. The cut is perfect for men who like a polished yet daring appearance. Just remember to go easy on the hair product to maintain some natural movement and keep the look modern. One of the great things about a bald fade is that it allows you to maintain a neat and polished appearance while providing the freedom to experiment with different styles on top. 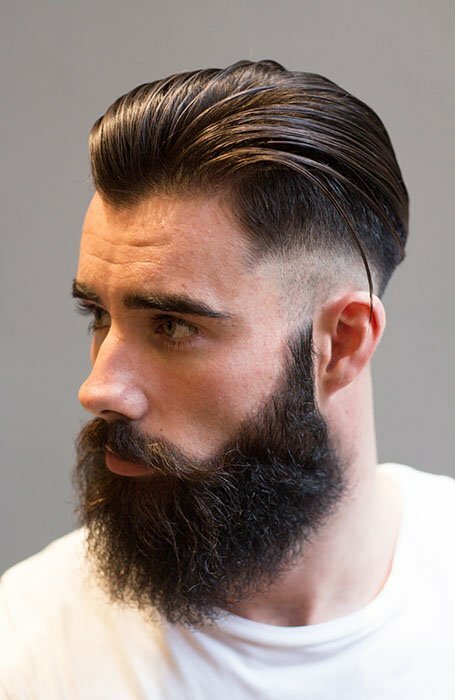 For instance, teaming a skin fade with a quiff can create a fashion-forward look that’s still ideal for the office. If you love the look of a mohawk but want something slightly more subtle, ask your barber for a bald fade faux hawk. 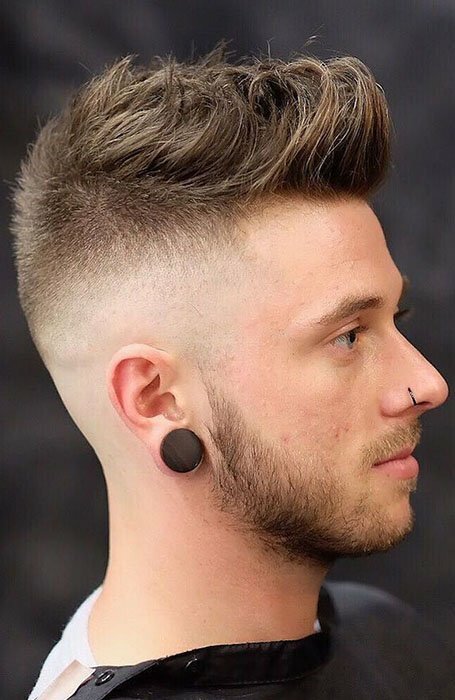 This impressive style features a skin fade on the sides and back partnered with a long top styled into a central point from the forehead to the crown. For gents with Afro-textured hair, a bald fade can make a fantastic choice. 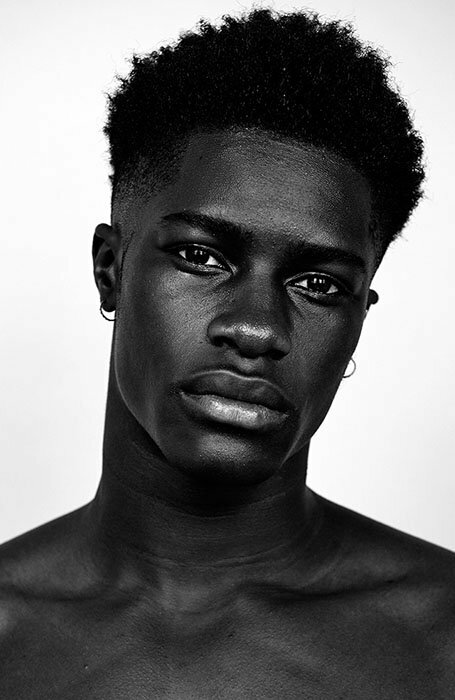 Whether low, high or medium, a bald fade will infuse your Afro with a sleek sense of polish and style while still allowing you to showcase your natural texture.